Wow, windchimes…would never have thought! Excellent work on it. Great pieces. I love the wind chimes! 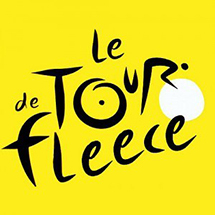 Great design and very creative! I am in awe of the bracelet!!! It is such an intricate design and I really love how it was all finished! Great Job! Have a Blessed Day!!! Never seen such an awesome viking knit bracelet!! Wow! I love that wind chime! I can almost hear the lovely clinking. The bracelet is amazing. I can’t believe how perfect the viking knit and handmade end caps are. Really great work! Very original (-: that ♥wind chime, I love♥it! 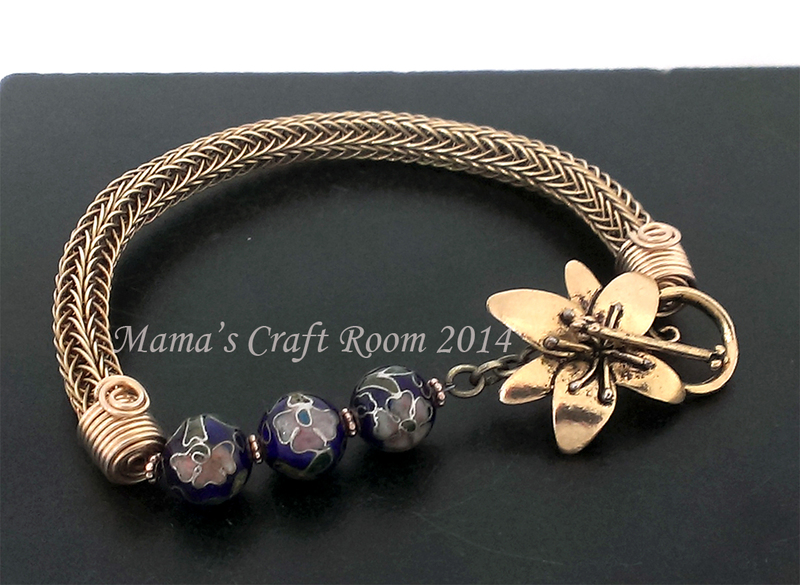 And the Viking Knit bracelet, wow, it must have taken you hououours to make it… But is’s so gorgeous! Wow, both pieces are stunning!! What a great idea, a wind chime. And viking knit….Always wanted to try that, but I is way to complicated for me. I believe your agate was correct. It makes a wonderful wind chime! And that bracelet is just gorgeous. 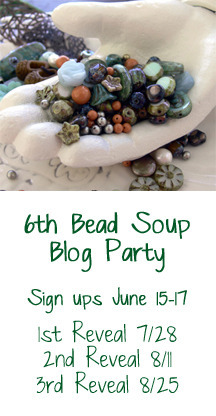 I’m always interested in folks who come up with a design that is a break from making jewelry with their soup. I wouldn’t have thought to make what you did, and that is the fun in using our creativity in our own unique way. It’s great to see how beads can be put to other uses. I can imagine this hanging outside. That bracelet with the viking knit is spectacular! And I love how you made wind chimes with part of your soup. You are one clever designer! Unique and beautiful wind chime and the bracelet is gorgeous, I love viking knit and your finishing is perfect. I love the windchime! 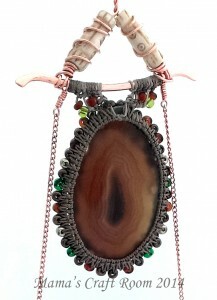 Such a creative use of that large agate slice! And the bracelet is gorgeous! I aspire to learn viking knit someday. The windchime? Such a cool idea! And your Viking knit is amazing – it made a beautiful, beautiful bracelet! Gorgeous bracelet and wind shime! O.M.G. This viking knit bracelet is amazing! It takes my breath away, really. Wow! HA ! I love the wind chime ! So clever ! And the bracelet is so elegant, I could see it worn with a fancy dress, don’t you think ? I love it all ! Such a great soup! 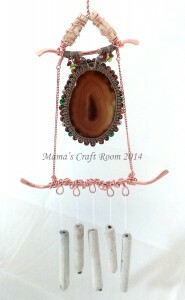 A wind chime – what a beautiful and unique idea! It’s absolutely charming, Heather. 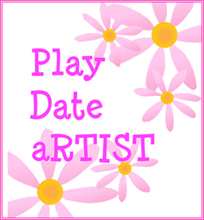 As well as your viking knit bracelet. So much work you put into that – fabulous, simply fabulous! How creative…this is the first wind chime I’ve seen in the hop and it’s so imaginative a use of the materials. Wonderful. You’re Viking knit is great and I love it. I adore windchimes. You did a great job! I also love viking knit- it’s on my list of things to learn how to do. Oh, that wind chime is brilliant! I would be so thrilled seeing that hang on my porch! And I just love Viking Knit, and yours is stunning! Totally worth the sore hands. Awesome work!!! Having the opportunity to see what Heather Richter was sending to Heather Otto, was like being the cat that swallowed the canary. Wondering what you would do with the Agate slice. I’m in awe with the windchime. Everytime the wind blows at your home, you will be reminded of your adventures of the 8th BSBP. So cool. Oh my gosh – I love your wind chime!!! 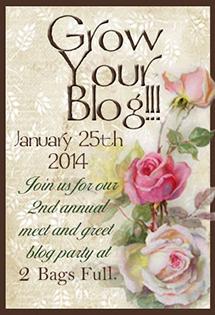 I would have never thought of doing a piece like that for the blog hop – ingenious! Also, you created something you like to have and make beautiful music for you – I might have to do something like that because I can’t find wind chimes I like! Love your Viking Knit – it is gorgeous!!! 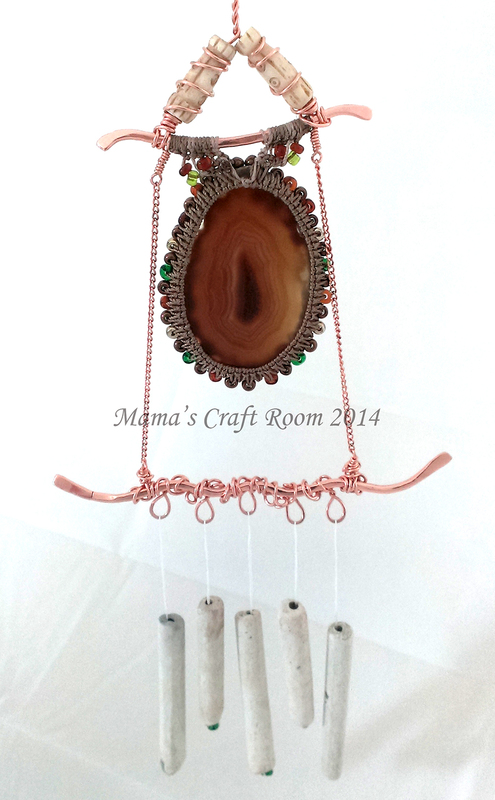 The wind chimes are such a beautiful, creative idea. I love wind chimes but my husband can’t stand them so sadly we don’t have any. WIND CHIMES! Now that’s creative! I love them, too. We have some “tuned” ones from a local artist in town. I love them. 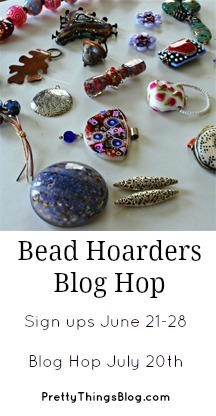 And I’m thrilled that you were able to use other beads from your stash that you’ve had for a long time. Viking Knit — something I want to do, have the tools for, but have never done. But double Viking Knit? I’ve never heard of that! You’ll have to email me and tell me the what’s up. That turned out just gorgeous. Thanks for participating and doing such unique things with your soup! LOVE the wind chime…very clever. The bracelet is stunning. I love the windchime! A great use for that beautiful agate focal. And your beautiful viking knit bracelet is jaw-droppingly beautiful. Stunning wirework! I love the wind chime. Just listening to them on a windy day calms me soo much. Great job. I really love what you did there, so different, I would never have thought of that! It looks stunningly regular! Awesome job!